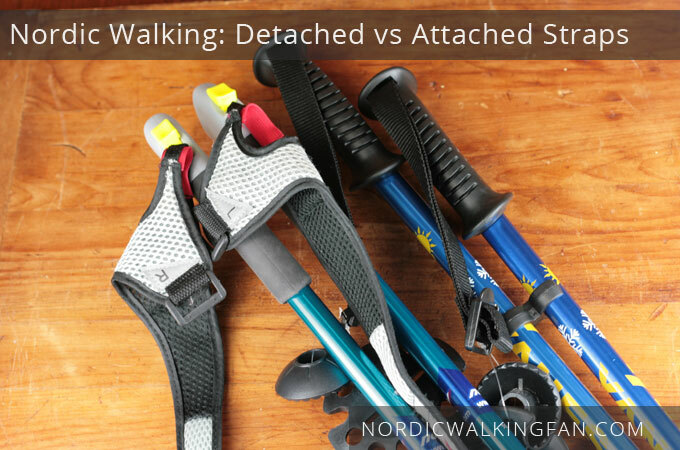 Nordic walking poles with straps will fall into two sub-categories: those with straps permanently attached to the poles, or, those with detachable straps. Which you get is really just a matter of preference. These can be tightened either via some sort of clasp on the pole, or, via buckles at the end of the straps. I do not know how you replace the straps on these if they break or wear out; maybe someone reading this can leave a comment addressing this. Jayah Faye Paley of Poles for Mobility demonstrates the technique for putting the attached straps around your hands and wrists. Detachable straps are handy to quickly free up a hand to reach for keys or change in your pocket; it’s also nice to be attachable to detach a sweaty pair and toss them into the wash. You can also replace them easily as they wear out. Some models of poles may have a more effective “quick release” mechanism than others do. The downside is, you have to fiddle with left and right, and, you can misplace or lose them. The velcro strap will also accumulate fuzz during the winter from gloves, etc. In this video, Nate Goldberg covers quite succinctly in the first minute exactly how to put the detachable straps on. 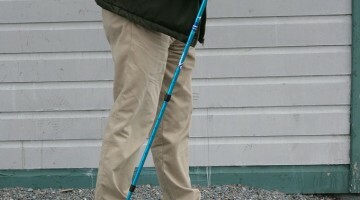 Just run it through once or two with your poles and straps handy, and you’ll have it down pat. 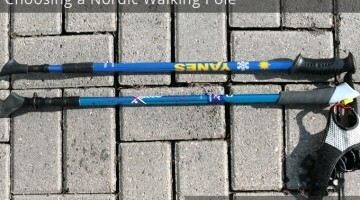 When you order poles with detachable straps, you may not get a choice of sizes. I didn’t. It was either one size fits all, I guess, or, I was lucky. Some replacement straps, however, offer a choice of sizes, and you have to figure out what you need. 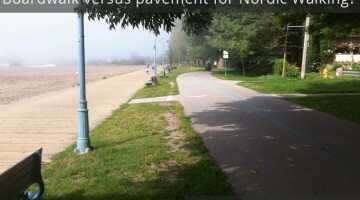 See with or without straps for a discussion of poles without straps at all. Why are the gloves designated right & left……..does it really make any difference? Yes it matters, because of the way our hands naturally tilt. I’ve mixed them up in putting them on and it just doesn’t work, sadly.